A self-described “avowed atheist” in college, something changed for John McDuffie in his late 20s. Raised in the Presbyterian Church, McDuffie underwent “an unfolding religious conversion” during a decade as a clinical social worker in psychiatric facilities in North Carolina and Virginia. McDuffie came to the Episcopal Church the way many people do, looking for Sunday morning nursery care for his children. But he felt a call to ministry and eventually attended Virginia Theological Seminary. He was ordained in 1988. 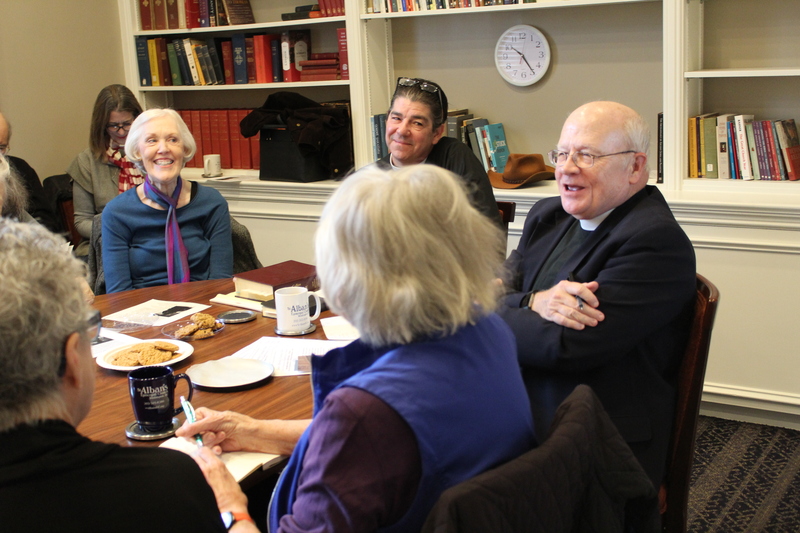 Along the way to the priesthood, McDuffie had been a Quaker and, briefly, an evangelical. That didn’t work out when he was told he’d have to give up jazz. For McDuffie, that was a non-starter. Music has been part of his life since childhood. He studied clarinet at age 10 and in college took up the saxophone. 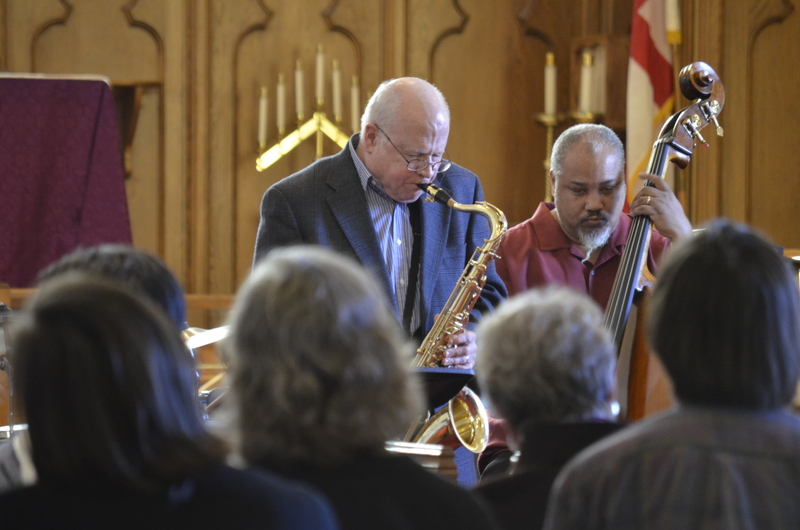 In 2008, McDuffie put his love of jazz and God together, launching a regular Sunday evening service of jazz vespers at Christ Church in Rockville, where he served as rector for 20 years until his retirement in 2018. 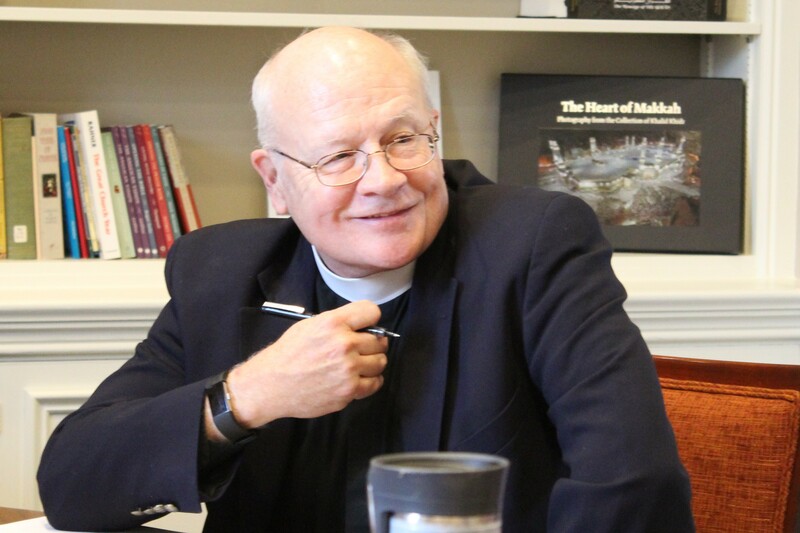 He’ll introduce that service to St. Alban’s on Sunday, March 3, at 5:00 p.m.
Last spring, McDuffie came to worship at St. Alban’s at the suggestion of our former rector, Frank Wade, with whom he plays golf. The Rev’d Geoffrey Hoare subsequently asked him to help fill in at St. Alban’s while Jim Quigley is on sabbatical. McDuffie will lead the regular Wednesday morning Bible study and be with us most Sundays, beginning February 24.